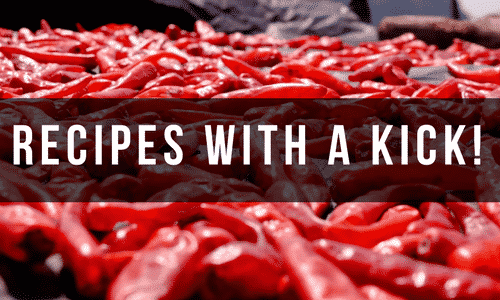 I love spicy food, almost as much as the sweet stuff. The good news is there are a ton of recipes that have a little kick and are still good for you. Here are a few of my favs. Be sure to click on the pic for the original recipe. Little Spice Jar is one of my go-to sites for recipes. If they don’t jive with Jasinda’s plan, I just tweak them a little. Here, I paired the chicken with Cauli rice, and I also used two fresh off the vine jalapenos and added about 1/4 cup of Greek yogurt to the mix. 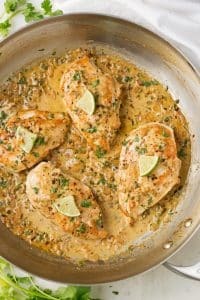 I also sprinkled a little True Lime Garlic and Cilantro seasoning in the sauce as well. 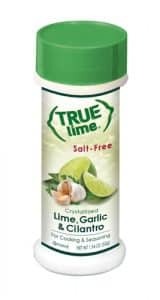 You haven’t lived until you cook with True Lemon products. They are AMAZING! I’ve gotten some killer recipes from Savory Tooth, and this is no exception. I tweaked the recipe right away because I don’t have an instant pot, and so I put it on the stove and let it simmer for a while. I will tell you everything worked out fine. 🙂 I also used riced cauliflower instead of rice on this one too, and I halved the cream with Greek yogurt. 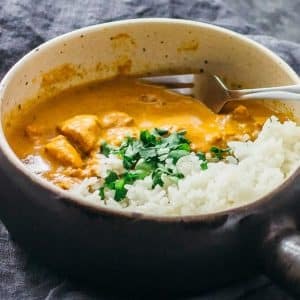 We love spice, so I added another teaspoon of Garam Masala (you can find it in the spice aisle of most grocery stores) and a healthy dash of cayenne. This is one of those recipes that taste better as leftovers, and it freezes well too. If you’re trying to eat healthier, I strongly recommend subscribing to Mama Shire’s Blog. She has a ton of incredible recipes on there, and everything is easy to find (just go to the Recipes By Title tab.) This is one of my favorites, but, again, I tweaked it by using Cauli rice (it’s already chopped up and in a bag. Hey, I’m a little lazy 🙂 ) I also doubled the green pepper and the bacon and used the real stuff. 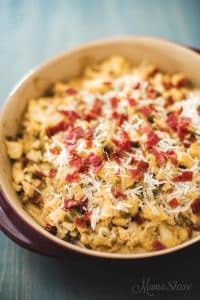 Turkey bacon is okay, but I prefer the good stuff in casseroles. Also, this recipe calls for cheese my family won’t eat, so I went with pepper jack, and I have to admit, it was a great call. If you don’t want to go the spaghetti squash route (which I did for me, but I also had the regular stuff for the fam), Dreamsfield pasta is in Jasinda’s plan, and it tastes delish!